KUZMAN POPOV graduated from the National Academy of Theater and Film Arts in the class of Prof. Filip Filipov and Prof. Sasho Stoyanov. In 1971/72 Kuzman Popov specialized in opera directing at the Komische Oper in Berlin with Prof. W. Felsenstein and Prof. G. Friedrich. After returning to Bulgaria he was appointed director at the Varna Opera. Kuzman Popov’s creative career features the realizations of 10 dramatic and 100 opera works as well as a substantial number of musical broadcasts for the Bulgarian National Television. With his productions of the operas Simone Boccanegra, Un ballo in maschera, Tosca, Otello, Traviata, Macbeth, Aida and so forth, the Varna Opera has successfully participated in the National Reviews of Opera and Ballet Art where it earned numerous awards also at international music festivals, and has been on tours at stages in Spain, Italy, Greece, Egypt, Russia etc. Kuzman Popov is the producer of the Traviata opera specially for the opening of the new theater in Cairo where he also staged Il Trovatore and La Bohème. In 1997 together with the Plovdiv Opera the director was a guest at the Deutsche Oper in Berlin with productions of the operas Prince Igor and Ernani while in 1998 in cooperation with the famous stage designer Vladimir Vassilev, Popov produced Carmen at the National Opera in Ankara. Kuzman Popov has realized his productions at the stages in opera theaters in Bulgaria, Turkey, Egypt, Greece, Bashkortostan, Macedonia etc. 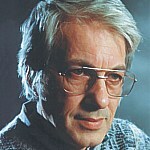 The Bulgarian and foreign critics have highly praised Kuzman Popov’s creative achievements who has received many awards for his mastership. For his integral creative accomplishments and contribution to the Bulgarian performing arts Kuzman Popov has been bestowed twice the Varna Award. His production of Oedipus Rex at the Varna Opera was rated the best opera production for 1995. He has been nominated twice for the Crystal Lyre Award and in 2002 was awarded with the Golden Lyre in connection with his 60-year anniversary.